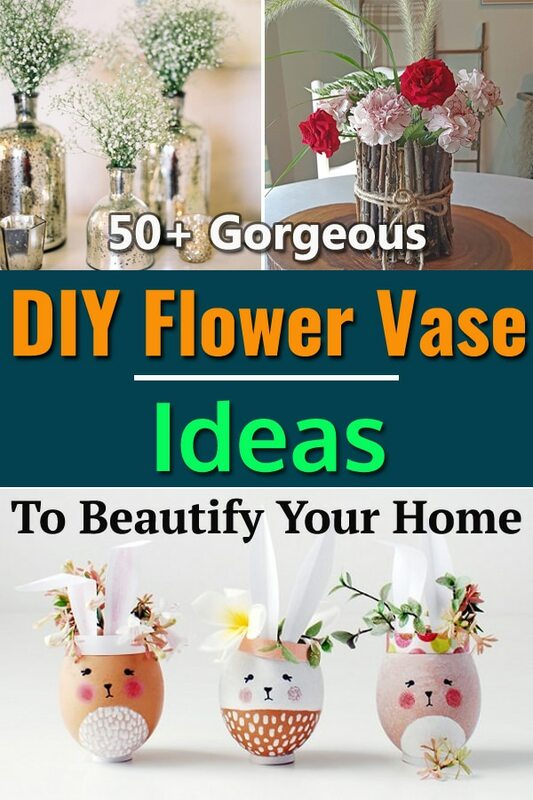 Scroll through our 50+ DIY Flower Vase Ideas, select the best ones and try imitating them for your home with the help of tutorials! 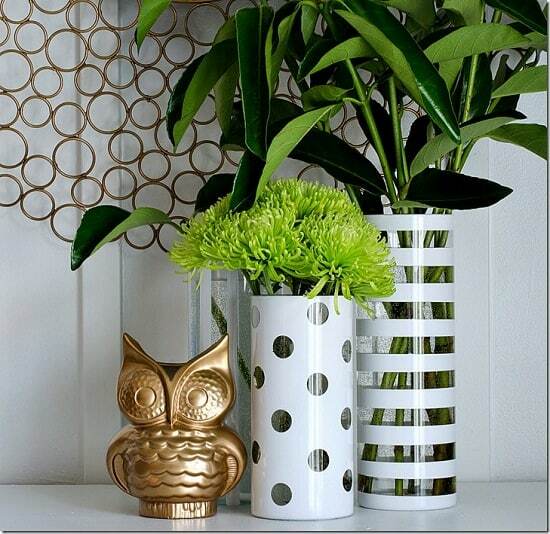 Cheap ordinary glass vases turned into crafty patterned vases with removable wallpaper and gold foil. How to do this is explained here. 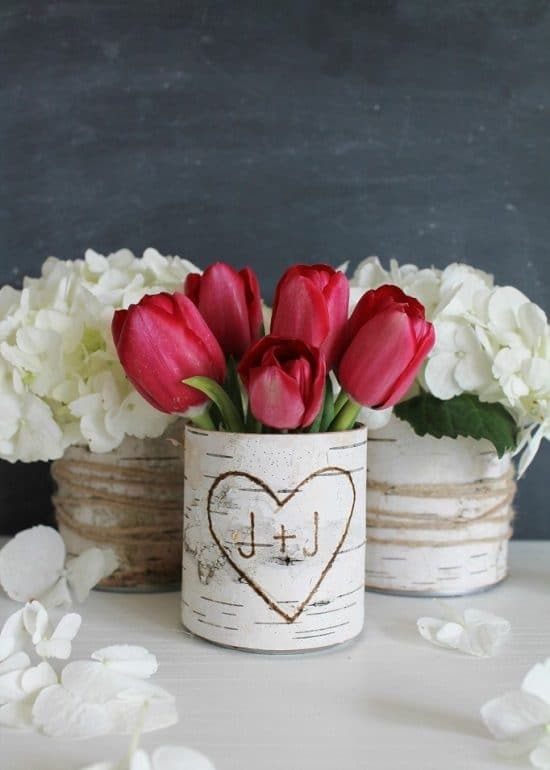 Wrap and glue birch strips onto a series of tin cans to create farmhouse style vases like these. To make it more fun, you can even carve your initials or any shape on the birch strip. Get the DIY here. Apply strips of gold and silver contact paper over spray painted glass containers to recreate this project of Enthralling Gumption. Indulge your kids into it, and it’s easy too! 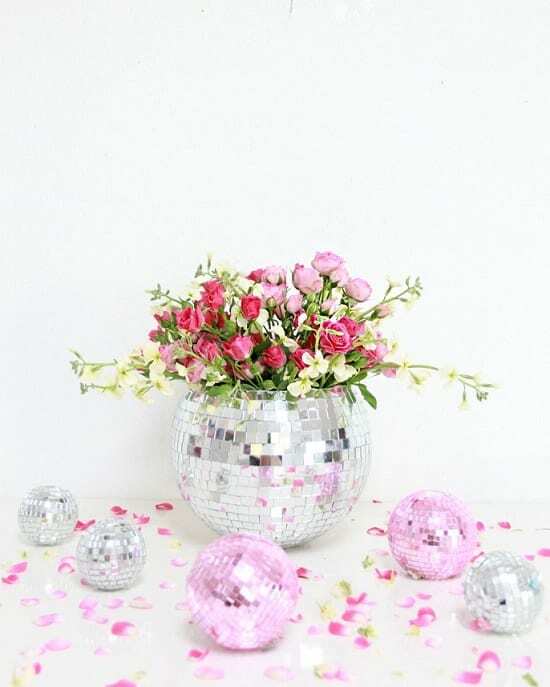 How about making this retro style disco ball vase? Visit A Bubbly Life for the instructions. 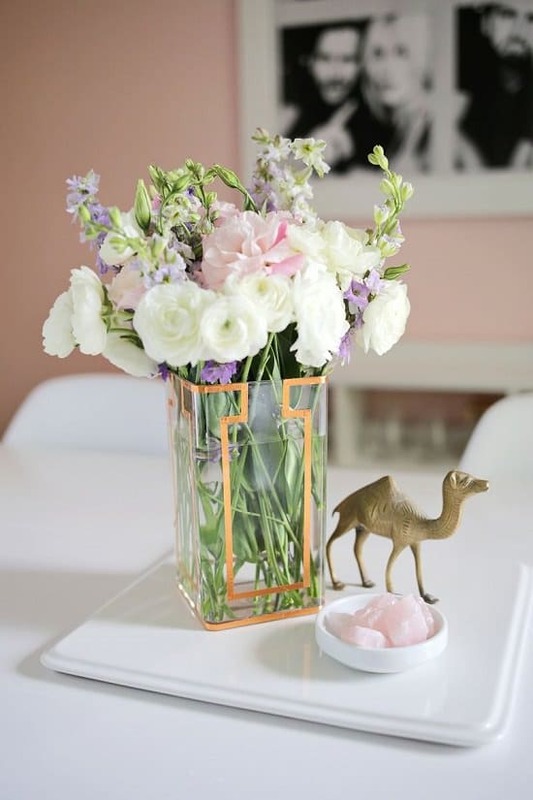 For this perfume vase, you only need to fill faux plants (or add cut flowers) into a decorative perfume bottle. How easy! 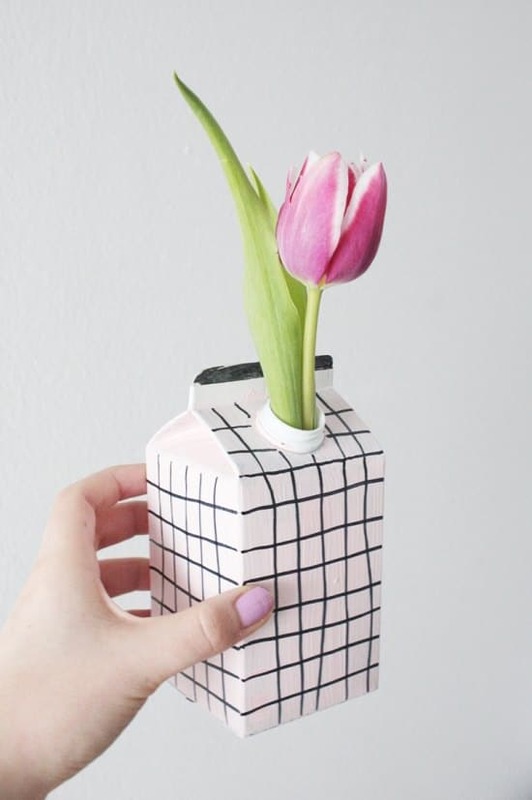 Paint and draw patterns on a Tetra Pak to turn it into a DIY flower vase. 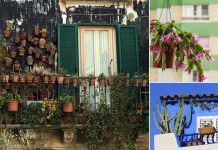 A great upcycle project to do this weekend. The how-to is here. 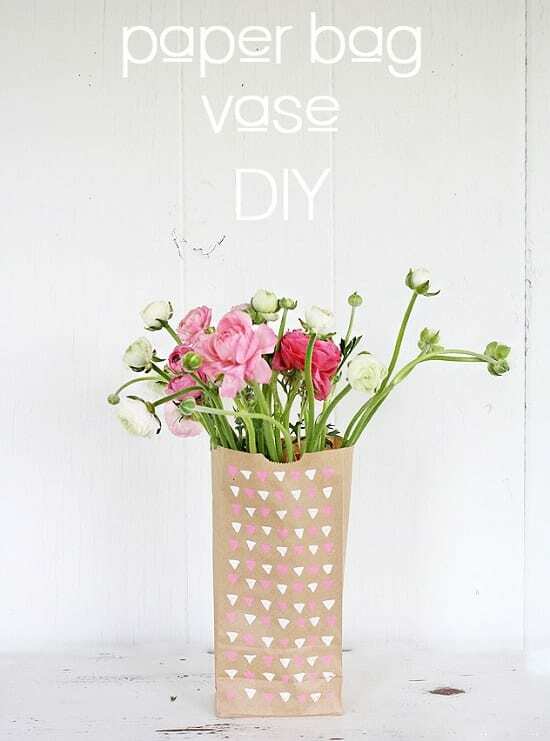 Adorn a simple vase with designs and patterns of your choice to create a homemade DIY flower vase like this. 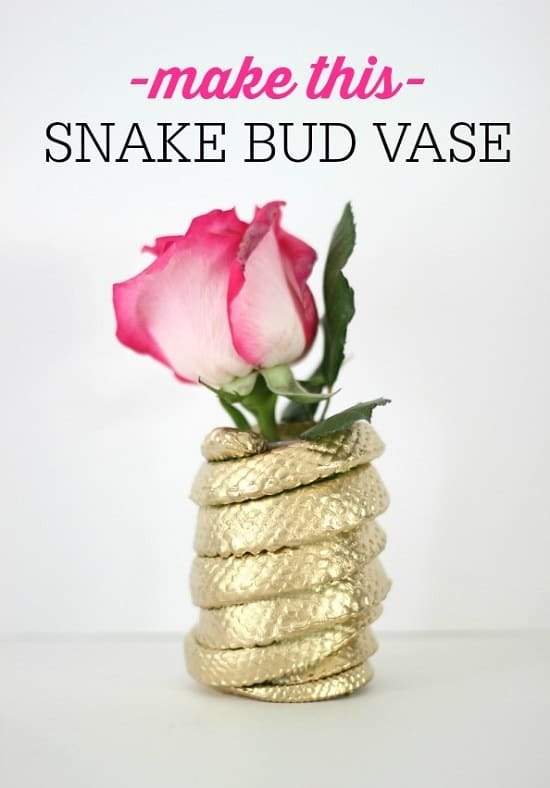 You’ll need a ceramic vase, adhesive, gold foil paper, a paint brush, and this tutorial to go on. 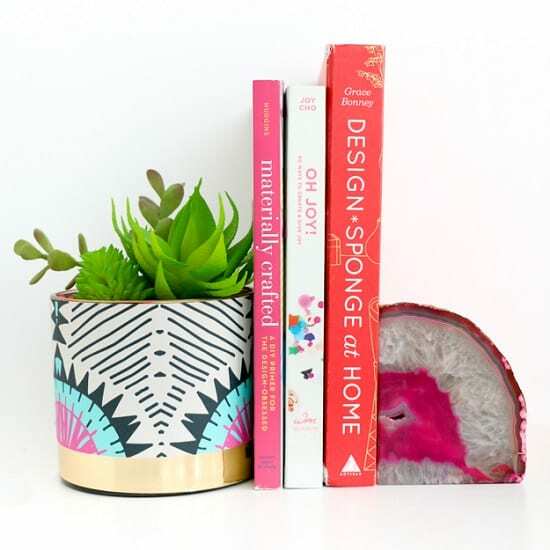 With some washi tapes and round stickers, you can easily imitate the DIY project above. Spray paint the vases after applying the tape and once the paint is dry, remove the tape. The how-to is here. Coil your toy snake into a tin can and heat the center of the can using a heat gun. This idea is very basic if you have got all the supplies ready in hand. Get the details here. 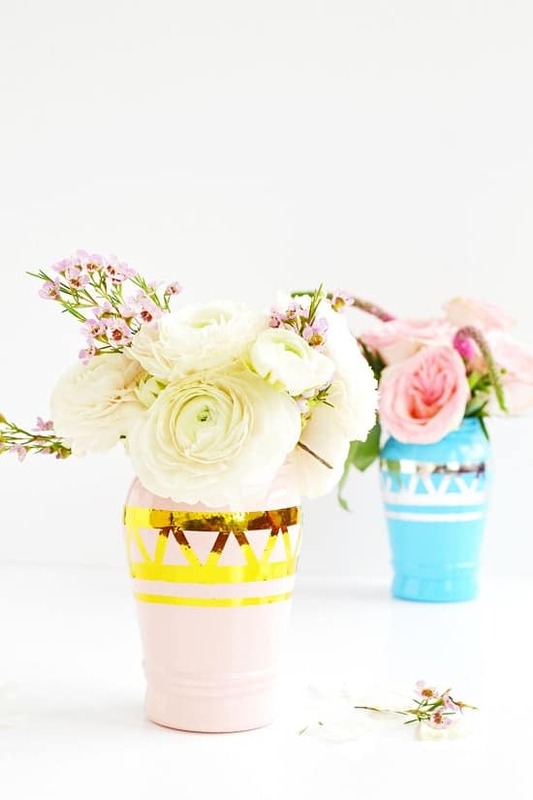 Make these color block vases from just a few items. Get the DIY tutorial at Song Of Style. 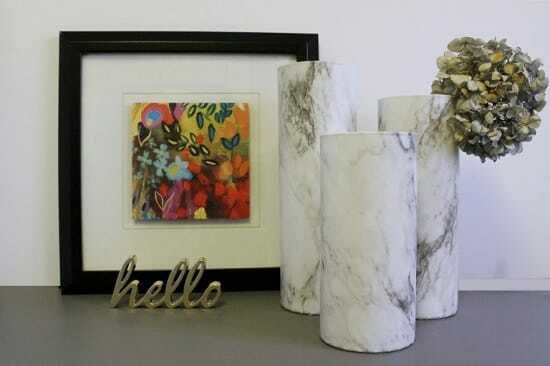 What are your thoughts on marble prints technique? It’s actually fun and pretty easy to get a marble print on any surface. Get help from this detailed tutorial. 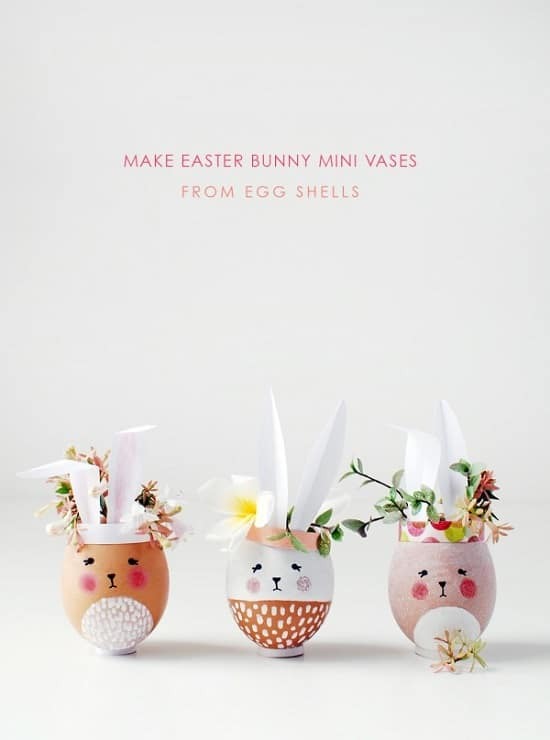 These cute little mini vases are made out of eggshells, sharpies, washi tapes, and tiny flowers and leaves. 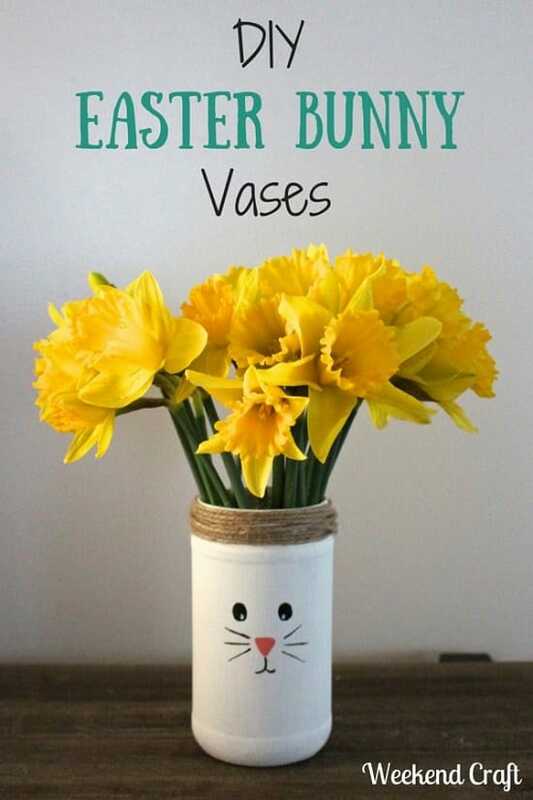 A perfect idea to inherit for an Easter decoration. 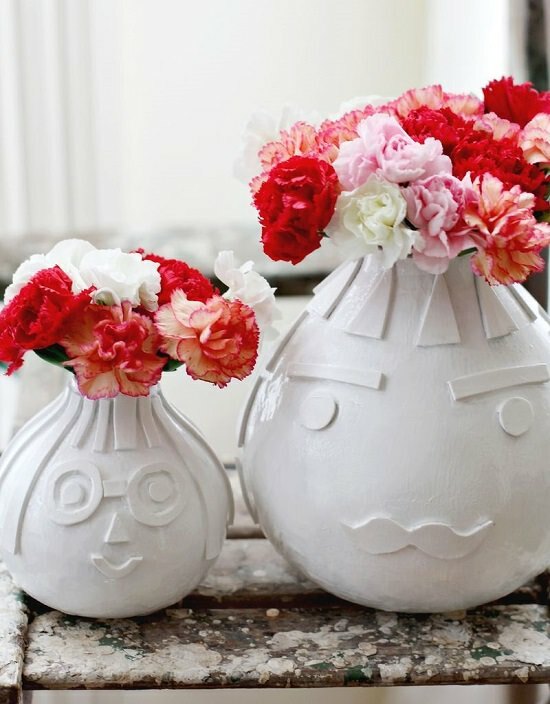 Thoroughly clean and paint a series of spare lampshades to imitate the DIY vases above. 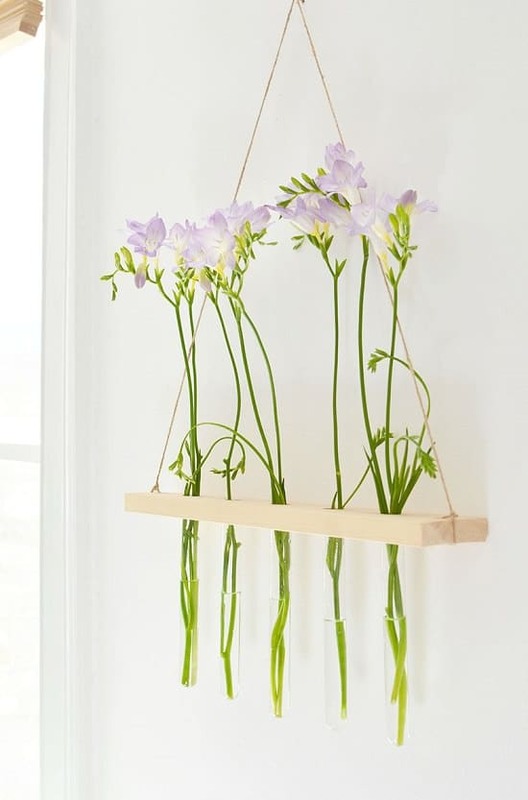 You can hang some of them as well to provide vertical interest to your interior. 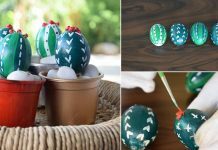 Here’s yet another Easter tutorial. This project involves supplies mostly from your kitchen, which you might already have in hand. Simply pour a few tablespoons of paint into glass bottles and evenly distribute the paint by rolling the bottles around. This is all you need to do to get the DIY done. We found the idea here. Feel inspired by this interesting craft, which you can make out of paper bags, flowers, and markers. Fold a long paper bag, and click here to read more. If you have a 3D printer handy by your side, you should definitely consider doing this project. You can also order the printed vases online. See how it’s done here. 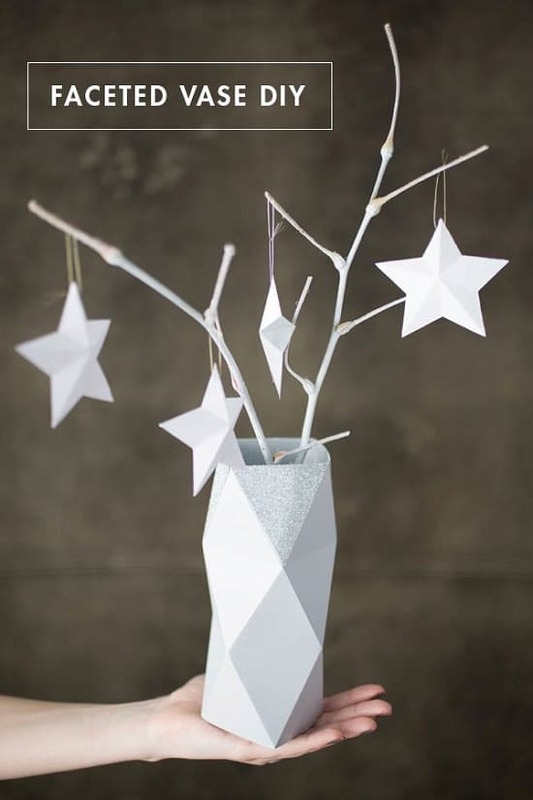 Fold and crease a sheet of paper using the techniques of origami to create a paper DIY vase like this. 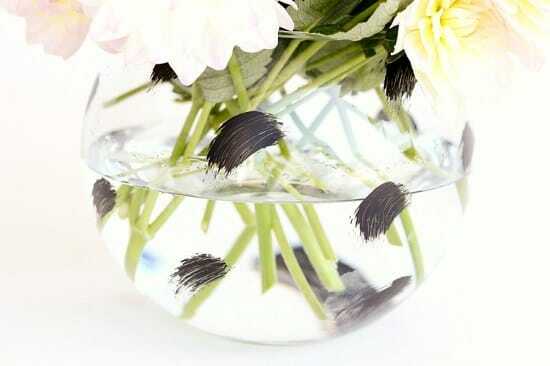 At last, adorn your vase using glitters and other decorative craft materials. 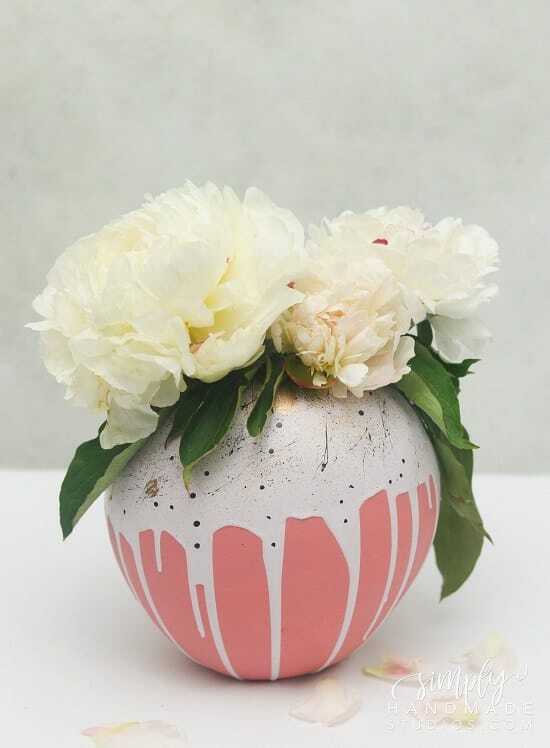 Draw exclusive pattern designs onto a white bud vase using paint pens and fill the vase with flowers. The how-to is here. 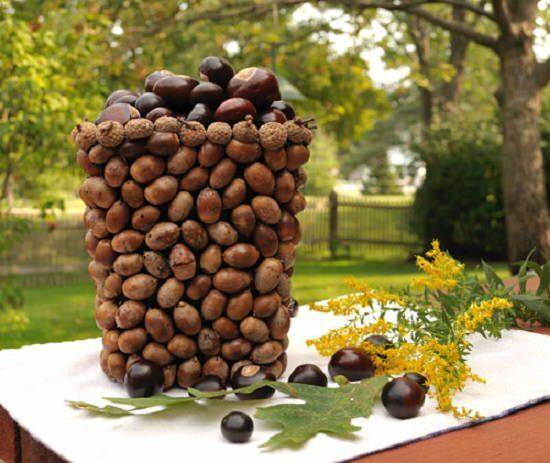 Collect a few acorns from your backyard and start this pretty and effortless acorn vase project. Get the tutorial here. 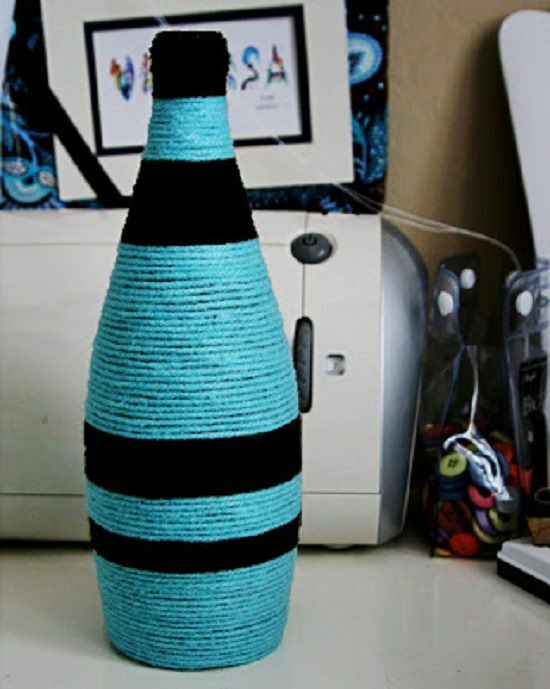 Learn how to upcycle a glass bottle into this yarn vase here. Inexpensive and easy to make! 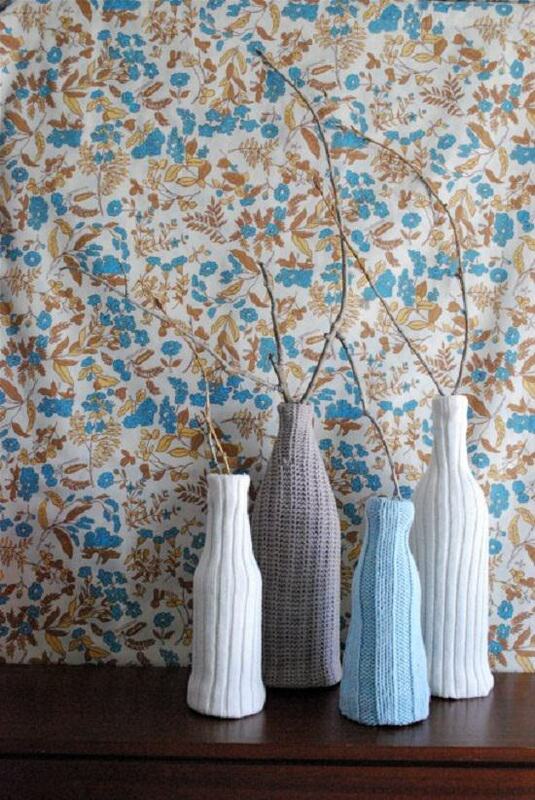 Take old sweaters and turn them into cozy household vases with the tutorial here. 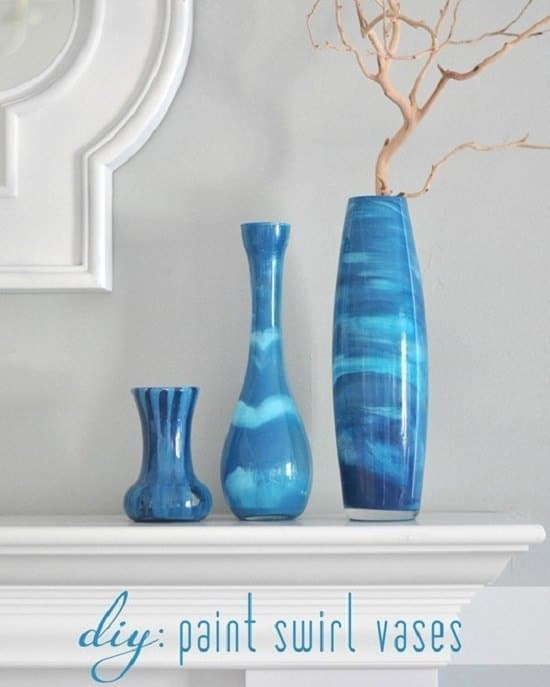 Look at this awesome version of paint swirl vases, which will teach you how to turn ordinary glass vessels into something unusual. 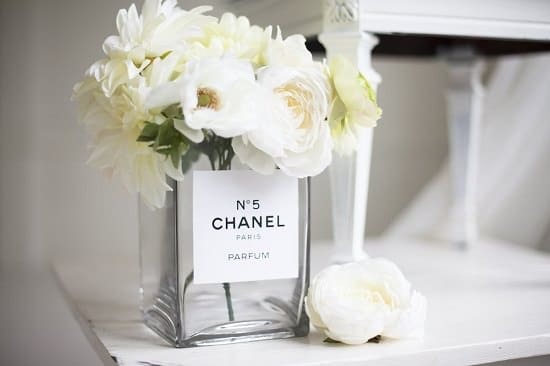 If you are looking for a wedding table decor DIY, this project is probably the right pick for you. 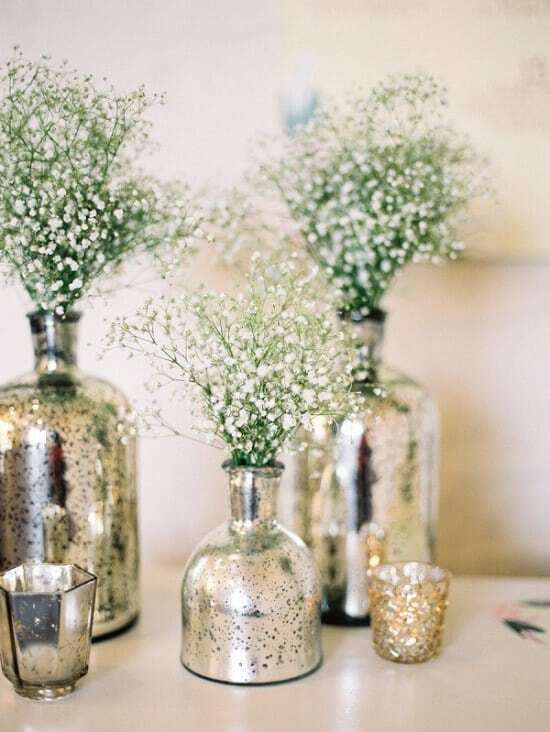 These mercury glass centerpieces can accompany a wide variety of themes from rustic, vintage to romantic. 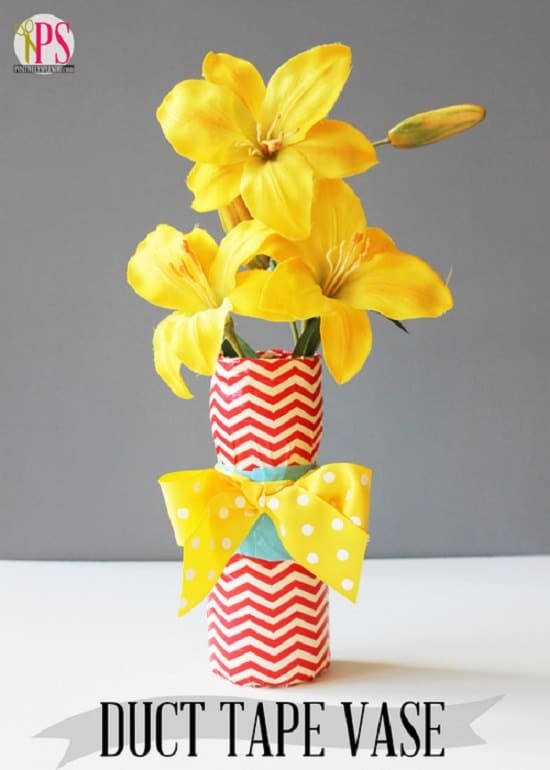 Plastic containers and duct tape are all that you need to create this impressive flower vase. The tutorial is one click away here. 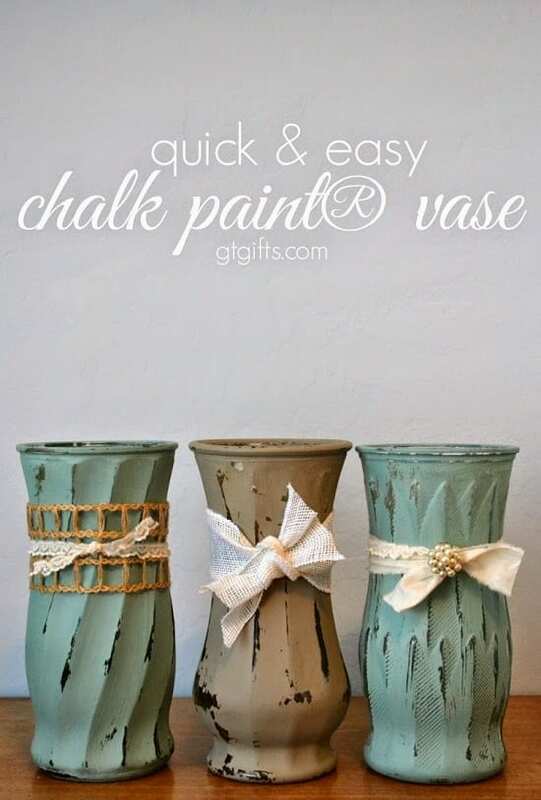 Cool project to follow if you are looking for a rustic and vintage DIY flower vase ideas –paint clear glass vases with chalk paint and distress them with a kitchen sponge. Learn this in detail here. 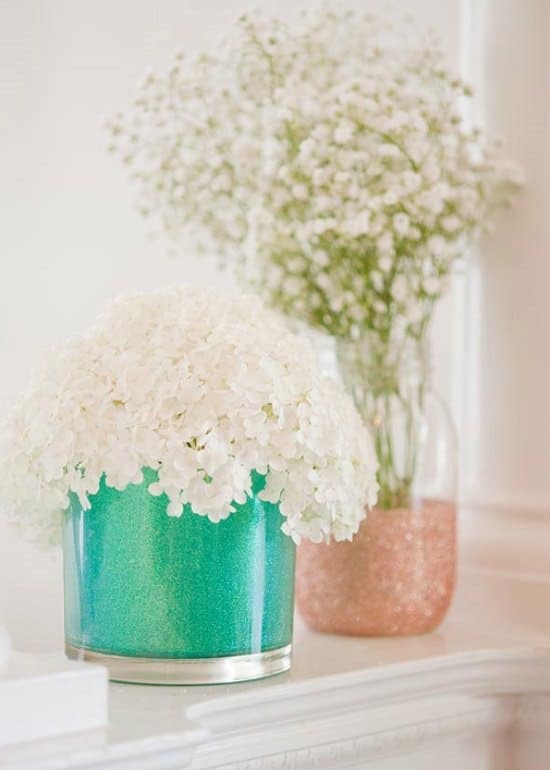 With a little mod podge and some glitter; create these adorable mini vases for parties, weddings or any dining setting. The Sweetest Occasion has the details. 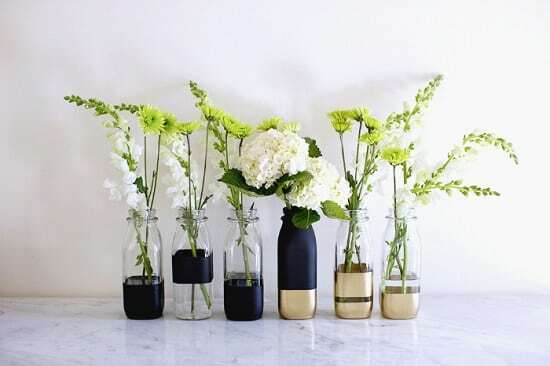 You can employ glass containers to make these brilliantly textured vases. You need to have glass paints, puffy paints, and paint brushes. Click here to understand the steps. Use metal screens, wire cutters, yarn, scissors, gloves, and glass jars to replicate this idea. Check out the instructions at A Beautiful Mess. 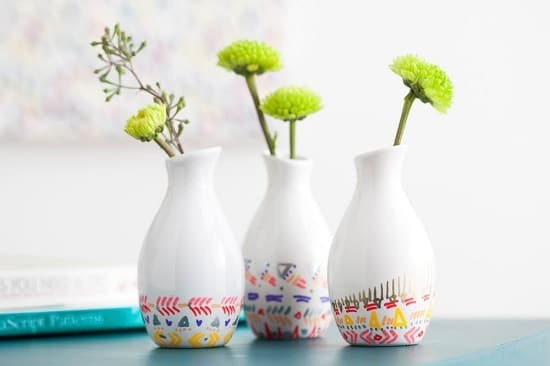 In this DIY vase project, acrylic paint is swooshed onto a glass vase. Seeing the image above you probably already understand how it’s done. Expose 1/3 part of the vase, cover the rest with newspaper, making irregular edges and spray paint the exposed part. Check out the step by step tutorial here. 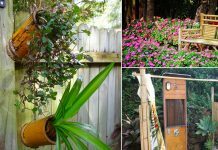 Whether this idea belongs in this list or not, we think you must consider this to have an eye catchy hanging centerpiece. One of a kind of tutorial is here. 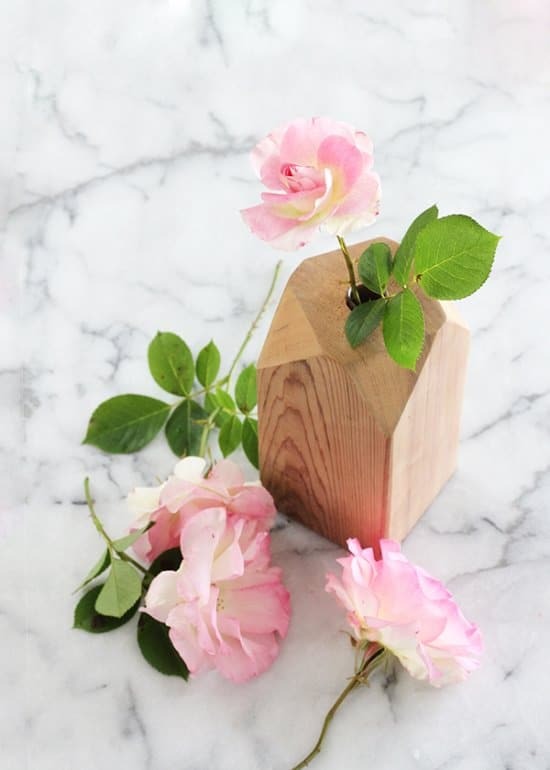 This one is one of the simplest in all DIY vases in our list. Just cut strips of copper tape and tape it in any unique pattern, that’s all! We found it here. 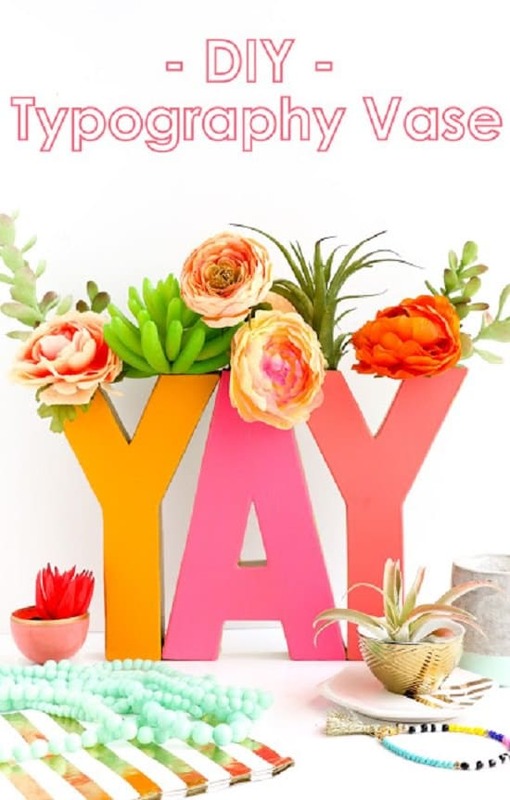 Hollow out paper mache letters and fill them with faux flowers and succulents. Find the tutorial at A Kailo Chic Life. 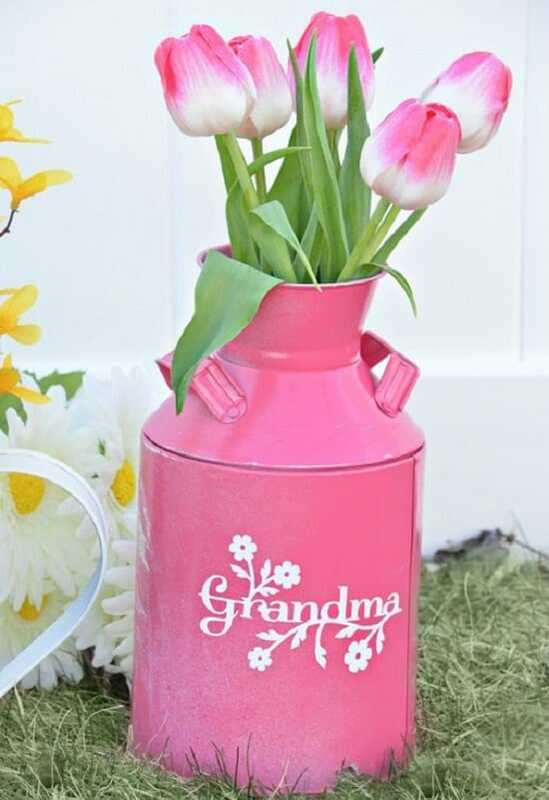 Paint and cover regular tin cans with floral ribbons to complete this lovely homemade vase. Click here for instructions. 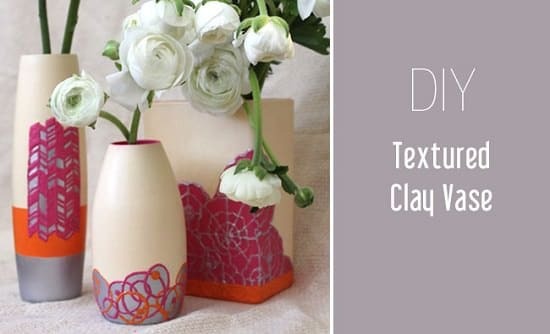 Learn how a plain vase is changed into this amazing textured vase here. 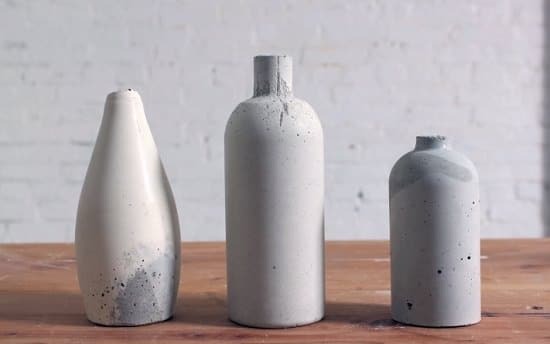 Make these exceptional vases out of concrete. Use plastic and glass bottle as molds. The steps are here to follow. 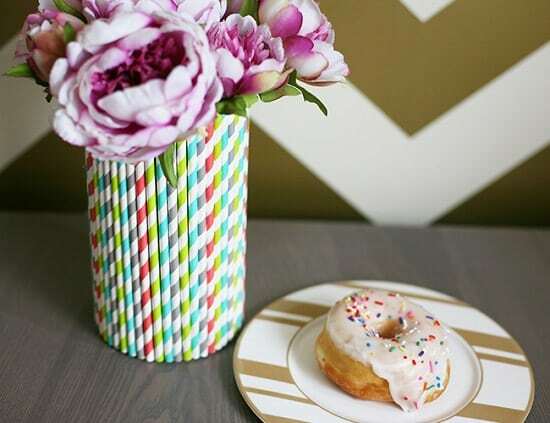 This striped vase DIY project is super easy to complete. Check out the tutorial at Inspired By This! 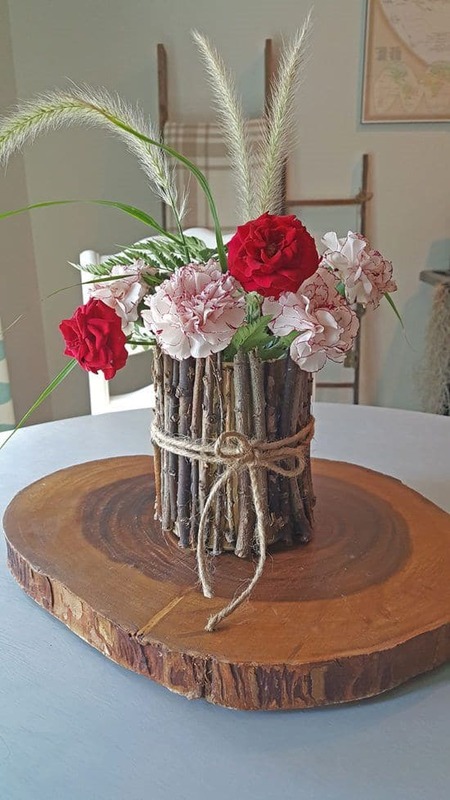 For this DIY vase idea, you’ll need twigs or small branches and an empty tin can. Check out the tutorial here. 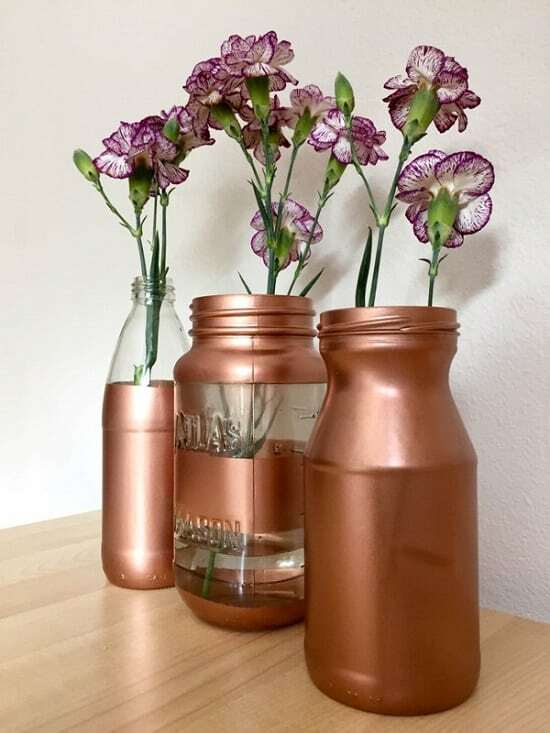 Make copper vases from jars and bottles using the copper spray paint following the directions suggested here. Get wood blocks of different sizes and drill 1.5 inches hole in them. 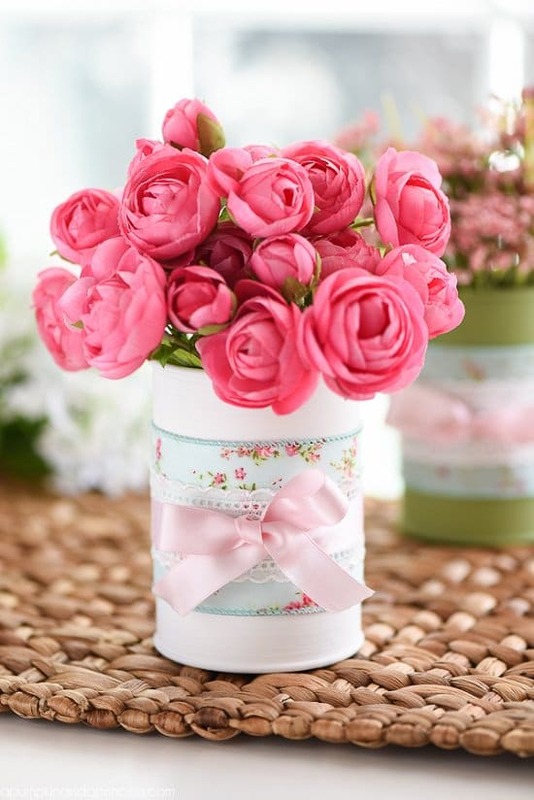 Use them as a vase the way suggested here. 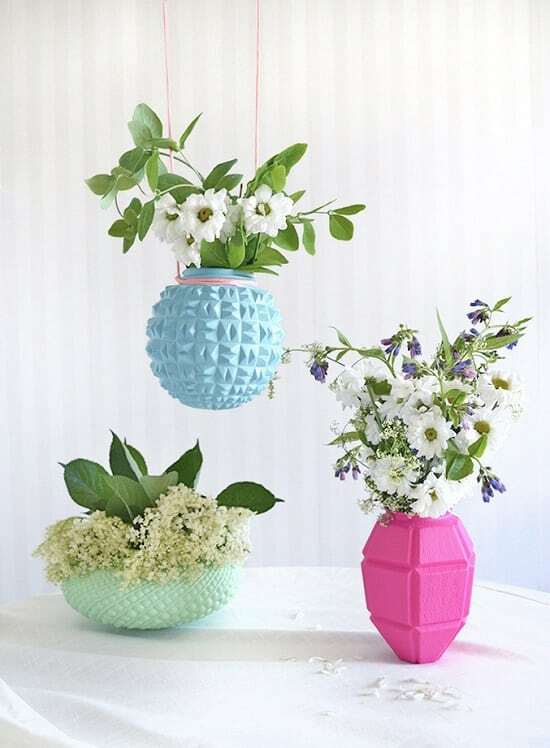 This globe flower vase can be a wonderful addition to your kid’s room or your home office. Visit Place of My Taste for the how-to. 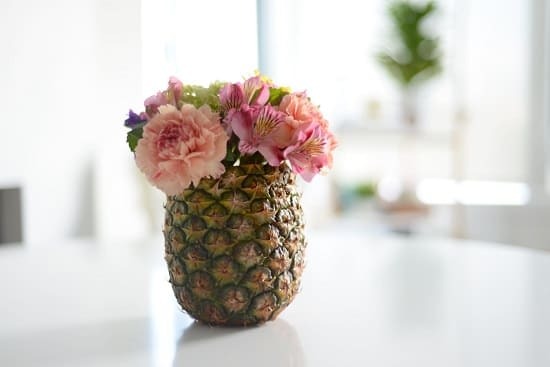 This pineapple vase is temporary but unique. The steps are here. Embed the pattern of marble on a vase. How? 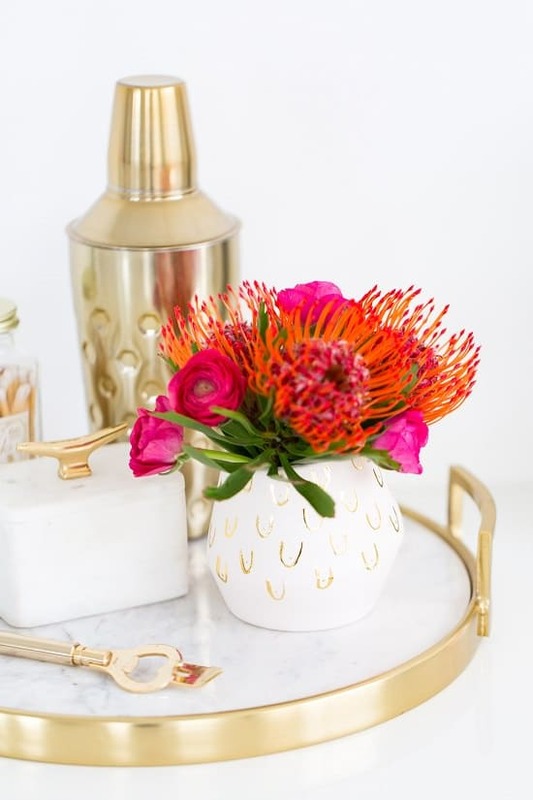 Check that out in this DIY flower vase tutorial. 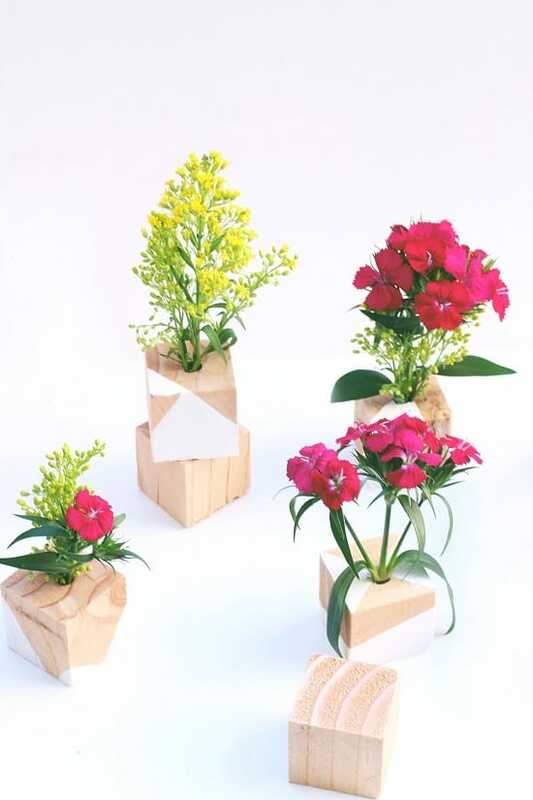 Again a wood block vase project in our list of DIY flower vase ideas but this time with a change, geometric cuts. Find the details here. 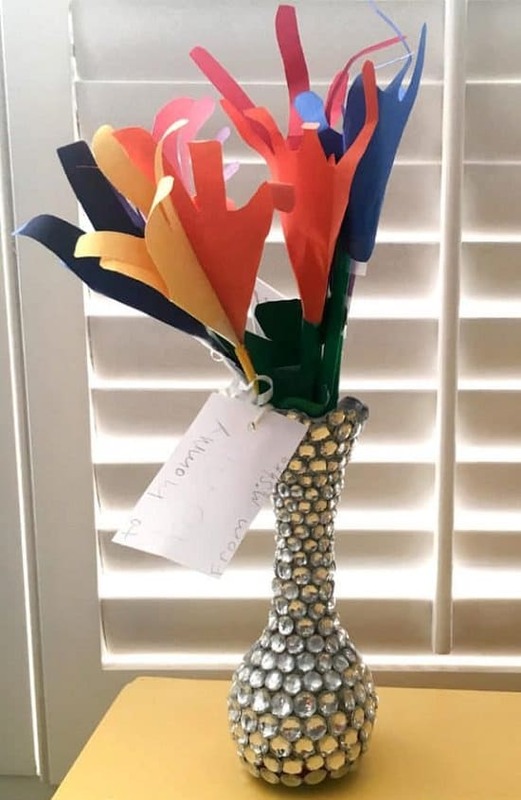 Decorate a simple dollar store vase with stone embellishments. Glue them, and it’s done, find more here. 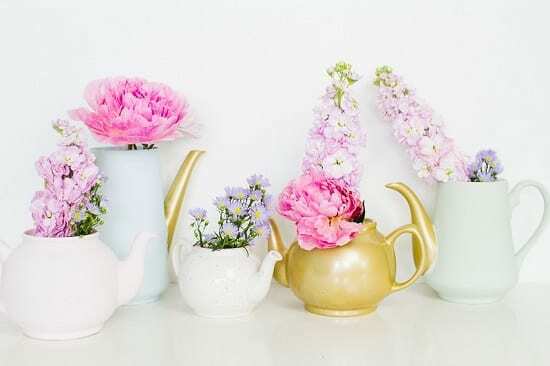 These teapots can be a great centerpiece, transform them into beautiful flower vases, the tutorial is here. 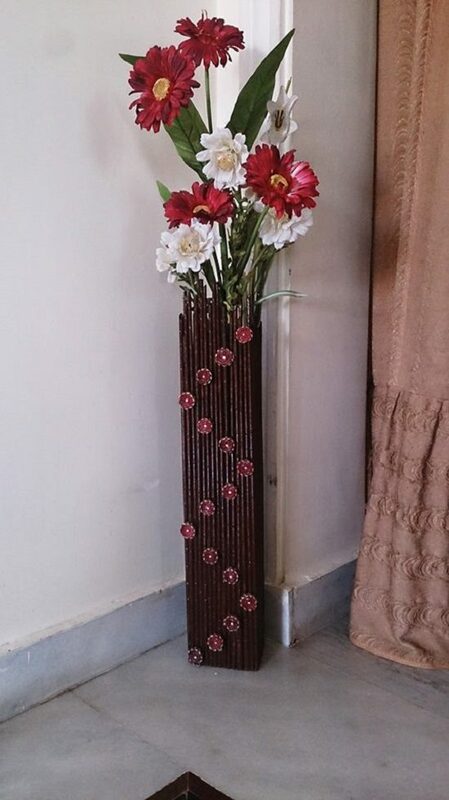 This vase is made out of newspaper rolls, see the how-to here. 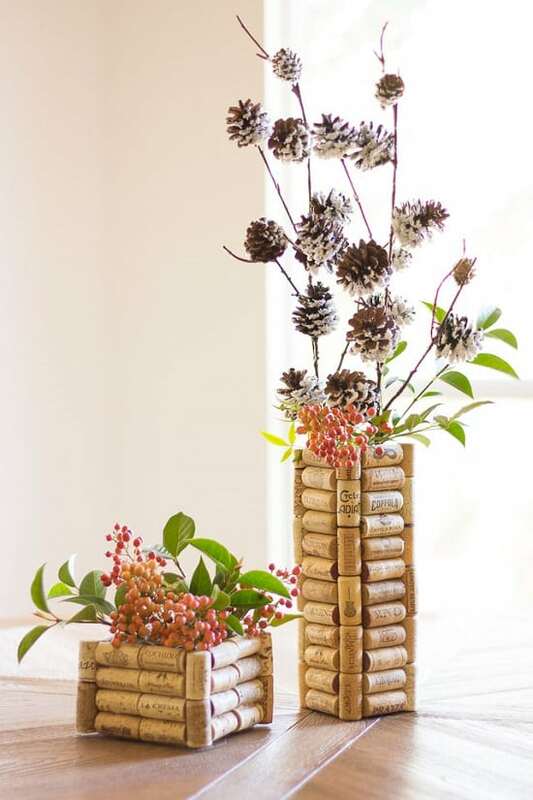 You can make really great things out of wine corks. This project is an example. The tutorial is here. 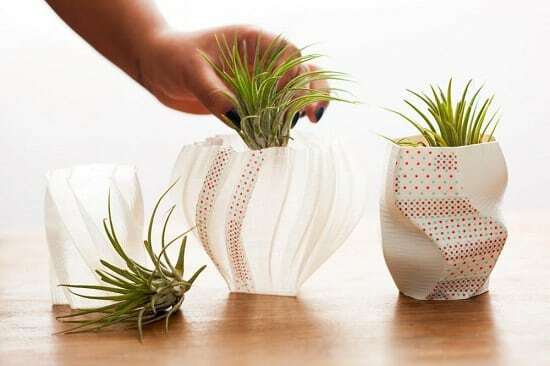 A watering and a milk tin are made into vases. Find the instructions here! 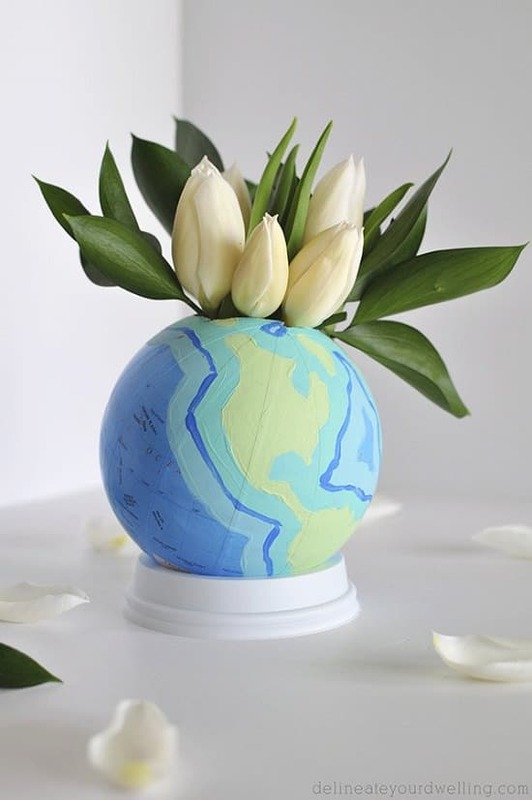 The ingredients of this beautiful DIY vase are a balloon, plaster of paris, and paint. Visit the Simply Handmade Studios for the tutorial.